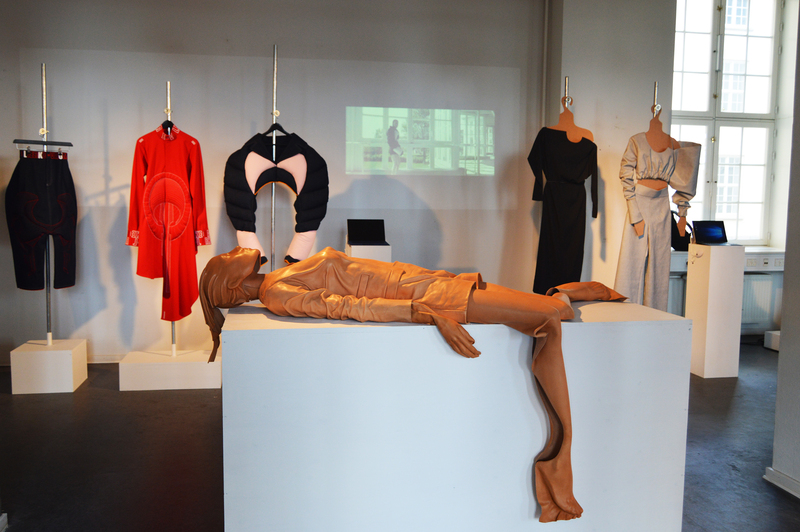 FAN OUT was an exhibition hosted by Danish Fashion Designer Sabine Poupinel. 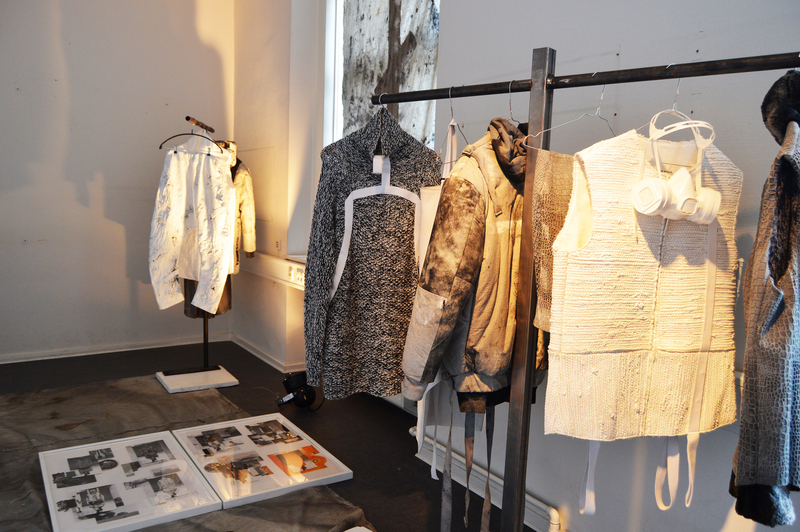 The event took place in a showroom in Tietgensgade, very close to the central station in Copenhagen. The event combined design with performance, music and art. 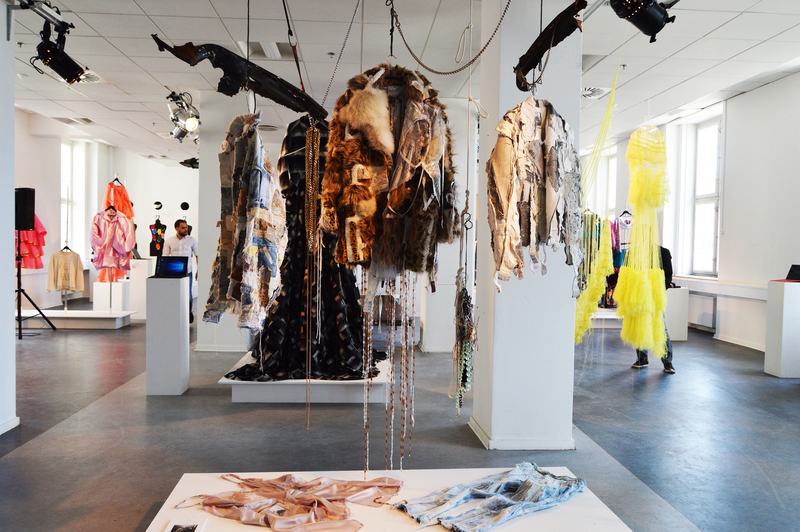 This was a great opportunity for young talents to exhibit their talent in a exposition. For a young artist, no matter if you are designer, photographer or painter, it is very difficult to get yourself a place in the professional artistic world, so these initiatives are always a great experience for them. 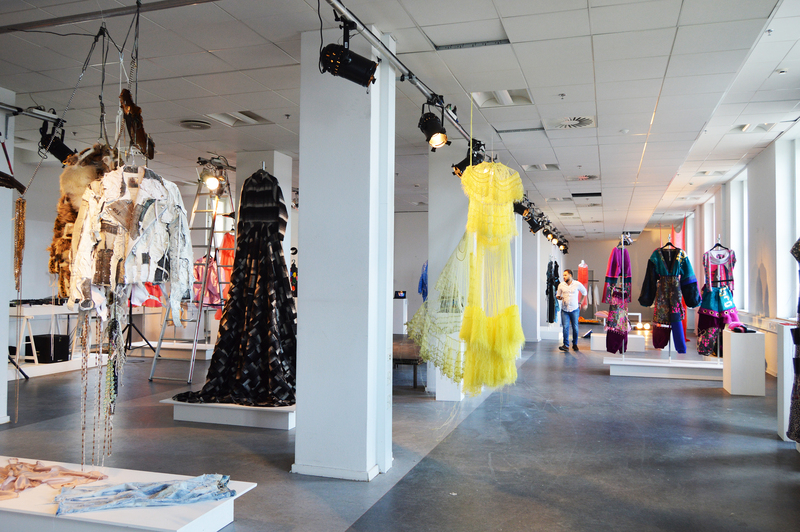 The showroom was huge and full of light so it was the perfect placement for the garments. 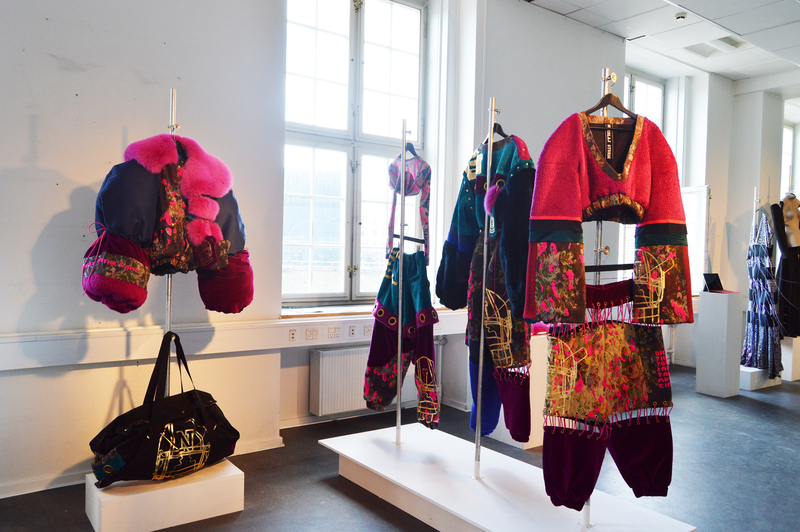 It was easy to walk around and see the garments from a very close perspective. 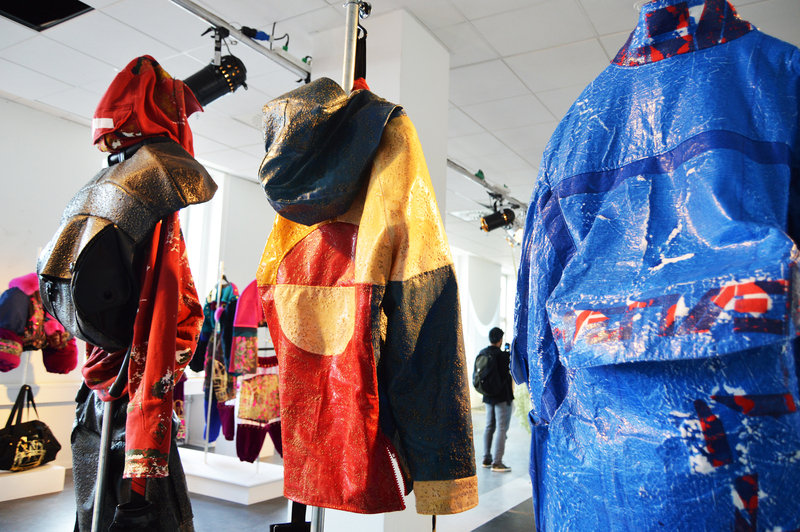 You could see the fabrics and different materials that they were using for their designs. 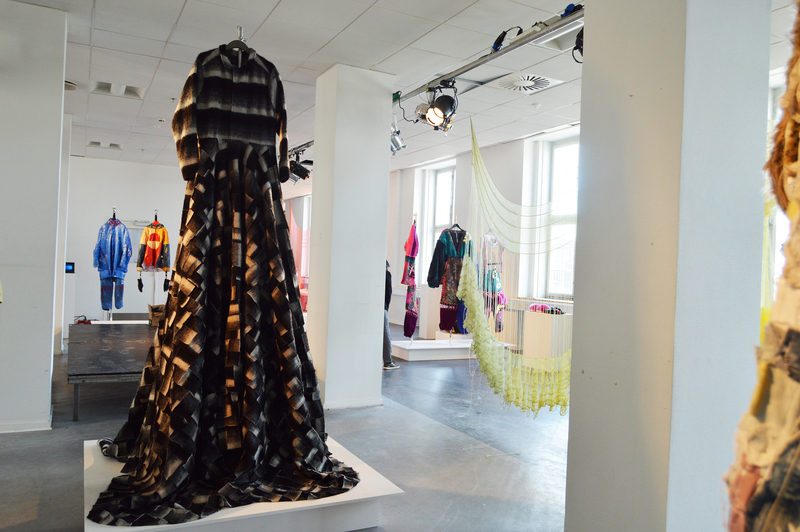 There were 16 different designers exhibiting there in the showroom, each of them with different background and storytelling. There were also performances and a fantastic Dj liven up the event. It was easy to dance close to one of the designers of had a chat with them about their work. All of them like fashion but they don’t want to follow conventionalisms of modern fashion. They want to have their voice among the most known designers that are ruling the fashion world in Denmark at the moment. It is very difficult to build yourself a name when fashion industry is so close for new talents. So, I really wish them the best of the luck in their careers. Have a wonderful day!